How do you control the dog that mount on the other dog? Do you shout and say "NO!" to the dog? Or you run to the dogs and grab the dog collar and separate them? I do not recommend either ways. Especialy male dog does mounting by instinct because of dominance. What is your best behavior to control them? This case, you do not need use your loudly voice and not run to the dogs. You use your calm voice tone and call their name "Alex, Boddy come!" And give them a simple command as "Sit". Get their attention on you. If the dog is very excited and ignore your command, you can use food treat and bring it in front of dog's nose and say "Alex, Boddy come!" 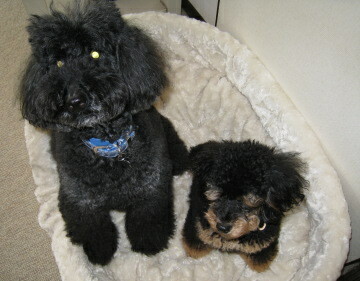 If you cut his behavior mounting sudenly, the dog does not understand why he is separated. Mountinh is one of the most important communication way and they have a certain reason of dominance. And the dog will have stress of your wrong control. Case by case but sometimes you have to control dog's mounting behavior, you use the smart way. You should be a respectful reader and control the dog. 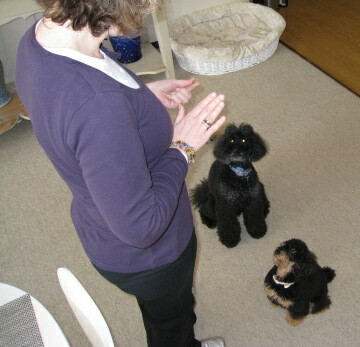 Control the dog wit smart way will help you to maintain structural clarity. 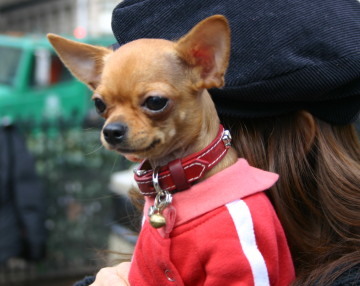 The world smallest dog chihuahua is one of the popular dog in Japan.They are cute but timid sometimes. Therefore, some Chihuahuas have unsuitable behavior as biting or barking. However, not all Chihuahuas became that. We use smart way of dog training and give them good experiences during they are puppies. If you give a smart dog training method during theie puppyhood and have good experiences with other dogs, even though small and timid Chihuahua will be a friendry dog with people and dogs. 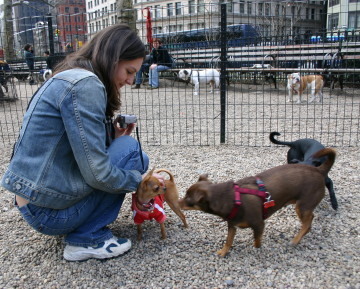 Dog Run is good environment given a practice of socialization with people and other dogs. Please bend your kneed down and stay with your dog in the Dog Run at the beggining. Talk him/her a lot but please do not push his/her back to come to the other dogs. Dog has own personal space and timing, so he/she will contact the other dogs his/her own pace. If your dog can come close to the other dogs and other dogs start sniff your dog, it is teh sign of understanding to each other. Give your dog the situation that he/she can come to your place easy but do not push. Just watch and observe his/her behavior. Dog will learn a lot of things and rules from other dogs. 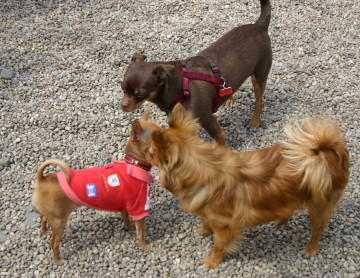 Socialization practice is very important experience for all dogs. Copyright (C) Dog Pro, Inc. New York Wan. All Rights Reserved.